We all have bands that we tell everyone about because of our personal devotion to them. Lesser known bands, many times local, that tug at something inside of us and cause us to absolutely lose our minds when trying to convey how incredible they are to our friends and family. Or strangers in line at a coffee shop. Sometimes, very rarely, that band hits the big time. Sometimes, even more rarely, that band is sitting on ten tons of rocket fuel talent that gets ignited and launches them into the upper echelon of mainstream music. Sometimes, they get so popular that you sorta-kinda regret telling anyone about them. It's a narrow path to tread between knowing they deserve the praise and recognition and wanting to keep them in your back pocket like an imaginary best friend or comfort blanket. That is the story, and dilemma, of Twenty One Pilots. I can not tell you how many times I've encountered dudebros and orange-faced, bleach-blonde trendwhores that know all the lyrics to Stressed Out (the current radio favourite) but can't name one other song by the band. That is the problem with pop music. From Columbus, Ohio (the greatest city on Planet Earth) Tyler Joseph and Josh Dun form the duo that, for all intents and purposes, can not be categorized. The sound of TOP is so diverse and broad-ranging (from rock, pop, synth, piano, ballad, rap, emo) that fans have taken to referring to their genre as Schizophrenic Pop. But if you listen to more than three songs you easily understand why even that doesn't do them justice. Their newest album Blurryface was released in March of 2015 with Fairly Local as the flagship single. They followed that up with (my favorite song on the album) Tear In My Heart. Blurryface is loaded with heavy, quick beats, twisting lyrics, electro-pop energy, and poetic insight. For some fans, the new album is too... conformist. In addition to that openness about feelings of creative stifling, the recurring theme of mental health issues from past songs reappears on Blurryface. This is where Twenty One Pilots has set itself apart from the rest of the mainstream. Whereas many pop songs might reference feelings of depression or loneliness, the message in those songs are all about empowerment and overcoming the issue. Twenty One Pilots takes those issues head on but rather than preach about fighting against that melancholy their message is to embrace and learn to channel it - and also that sometimes it's ok to just feel completely, utterly sad and helpless. 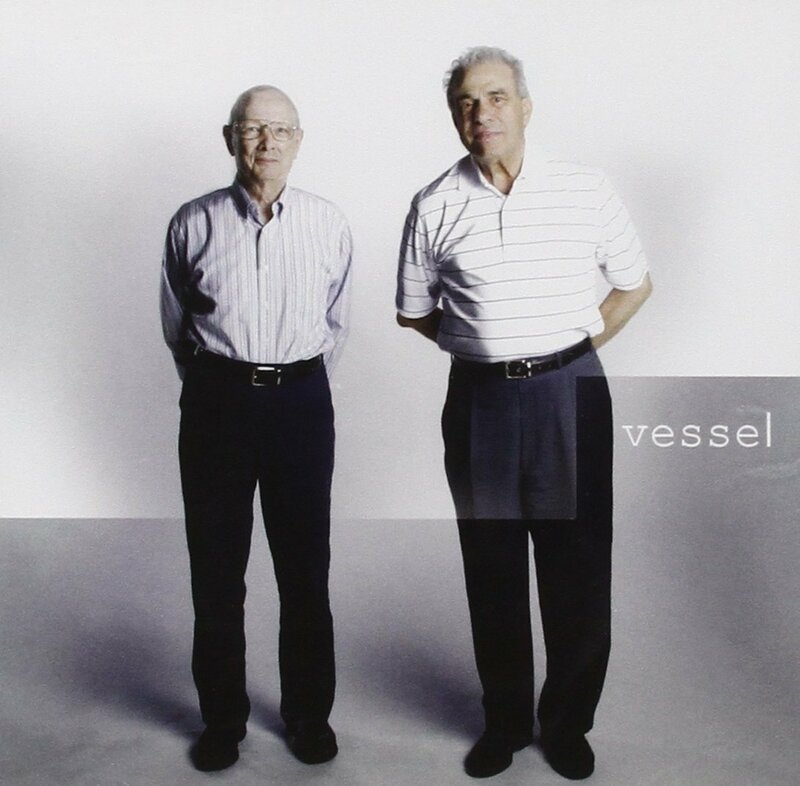 For that reason, I feel like Car Radio (from the album Vessel) is their best and most important song. It is a song about a stolen radio and the pressure of silence surrounding a head in which a storm of thoughts and feelings clash. Like a reverse hurricane, with the quiet eye encircling the tumultuous center. In the way that those feelings can build and build inside a person until they manifest in unhealthy, sometimes damaging ways, Car Radio swells until it Joseph's voice explodes in a scream. As he says in the lyrics, "Sometimes, quiet is violent". This might not be the song to start your day off with... or perhaps it is exactly the song you need to start your day. Either way, if you appreciate introspective music, music that has more value than as mere ear candy, Twenty One Pilots Car Radio is an oasis in the middle of the music industry landscape; and Car Radio is that first refreshing sip from the spring.